yourself you can’t do it. to being able to program in Swift. 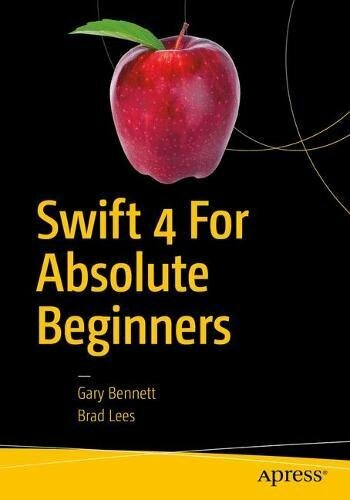 After all, Swift is a native programming language for the iPhone, iPad, and Mac. iOS (iPhone/iPad) developers. Many of our students have developed some of the most successful iOS apps in their category in the App Store. We have incorporated what we have learned in our first two courses, Introduction to Object-Oriented Programming and Logic and Swift for iPhone/iPad Developers, into this book. Many developers who programmed years ago or programmed in a non-OOP language need a background in OOP and Logic before they dive into Swift. This book is for you. We gently walk you through OOP and how it is used in iOS development to help make you a successful iOS developer. You’ll notice that we are all about successes in this book. We introduce the OOP and Logic concepts in Swift Playgounds and then move those concepts to Xcode. Many students are visual or learn by doing. We use both techniques. We’ll walk you through topics and concepts with visual examples and then take you through step-by-step examples reinforcing the concepts. We often repeat topics in different chapters to reinforce what you have learned and apply these skills in new ways. This enables new programmers to reapply development skills and feel a sense of accomplishment as they progress. Don’t worry if you feel you haven’t mastered a topic. Keep moving forward! Learning to program is an interactive process between your program and you. Just like learning to play an instrument, you have to practice. You must work through the examples and exercises in this book. Understanding a concept doesn’t mean you know how to apply it and use it. an unparalleled learning process. The downside of debugging is a new developer can find it especially frustrating. If you have never wanted to throw your computer out the window, you will. You will question why you are doing this, and whether you are smart enough to solve the problem. Programming is very humbling, even for the most experienced developer. Like a musician, the more you practice the better you get. By practicing, we mean programming! You can do some amazing things as a programmer. The world is your oyster. Seeing your app in the App Store is one of the most satisfying accomplishments. However, there is a price, and that price is time spent coding and learning.  Believe you can do it. You’ll be the only one who says you can’t do this. So don’t tell yourself that.  Work through all the examples and exercises in this book.  Code, code, and keeping coding. The more you code, the better you’ll get.  Be patient with yourself. If you were fortunate enough to have been a 4.0 student who can memorize material just by reading it, this will not happen with Swift coding. You are going to have to spend time coding.  You learn by reading this book. You really learn by debugging your code. We will walk you through the process of understanding the development process for your iOS apps and what technology you need. However, briefly looking at all the technology pieces together is helpful. These are the key iOS development technologies you will need to know in order to build a successful app and get it on the App Store. We know this is a lot of technology. Don’t worry, we will go through it and will be comfortable using it.